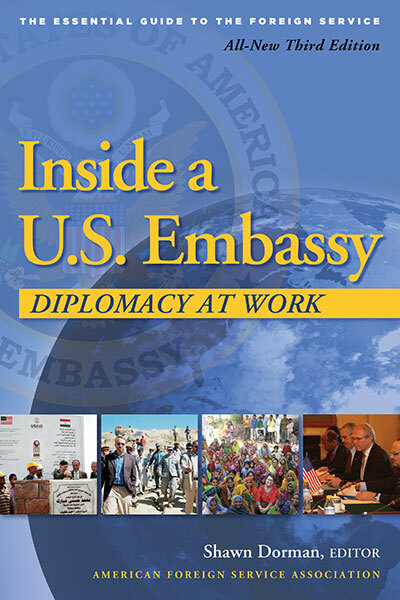 The United States has many tools to advance and defend its foreign policy and national security interests around the world—from diplomatic approaches pursued by members of the Foreign Service, to the range of options available to the U.S. military. In countries affected by or vulnerable to violent conflict, peacebuilding tools are important additions to the national security toolkit. Please note: participants in the 2018 contest may participate in the 2019 contest, but no essays submitted for consideration in the 2018 contest will be accepted. AFSA collects your information for this contest and for AFSA partners. You may be signed up to receive updates or information from AFSA and our partners. You will receive confirmation from AFSA that your submission has been received and a notification if you are the winner or an honorable mention in May. You may also receive a message from our sponsor regarding their program offerings. Students whose parents are not in the Foreign Service are eligible to participate if they are in grades nine through twelve in any of the fifty states, the District of Columbia, the U.S. territories, or if they are U.S. citizens attending high school overseas. Students may be attending a public, private, or parochial school. Entries from home-schooled students are also accepted. Previous first-place winners and immediate relatives of directors or staff of the AFSA and Semester at Sea are not eligible to participate. Previous honorable mention recipients are eligible to enter. $2,500 to the writer of the winning essay, in addition to an all-expense paid trip to the nation’s capital from anywhere in the U.S. for the winner and his or her parents, and an all-expense paid educational voyage courtesy of Semester at Sea. 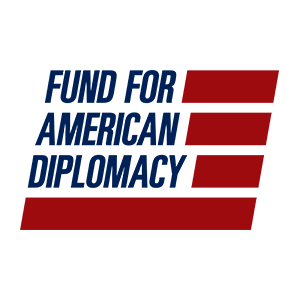 The Fund for American Diplomacy is AFSA's 501(c)(3) charitable organization that supports AFSA’s outreach goals. 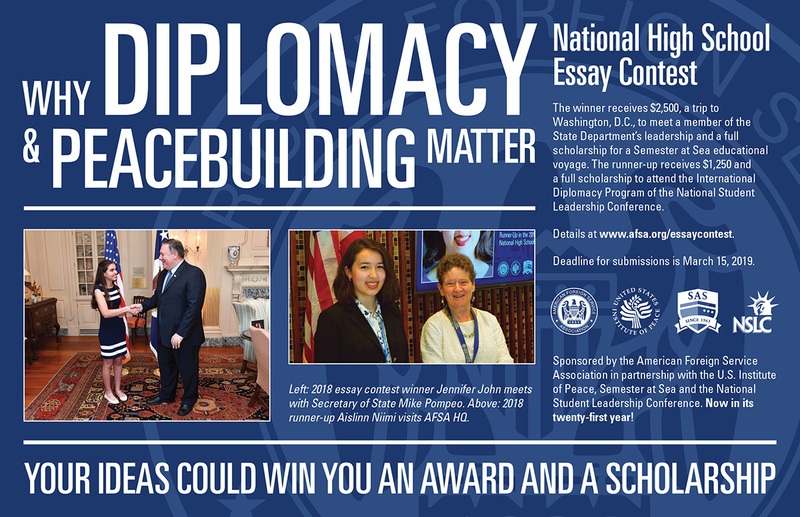 AFSA National High School Essay contest is AFSA’s main outreach initiative to high school students. We appreciate your willingness to contribute. Rest assured that your contribution will be put to good use.